Q. How do broadband packages in France compare to the UK? A. Twenty per cent of UK customers could switch to fast fibre broadband with typical download speeds of 30Mbps and many of those making the switch could save money as well! Of course, this depends on where they live. 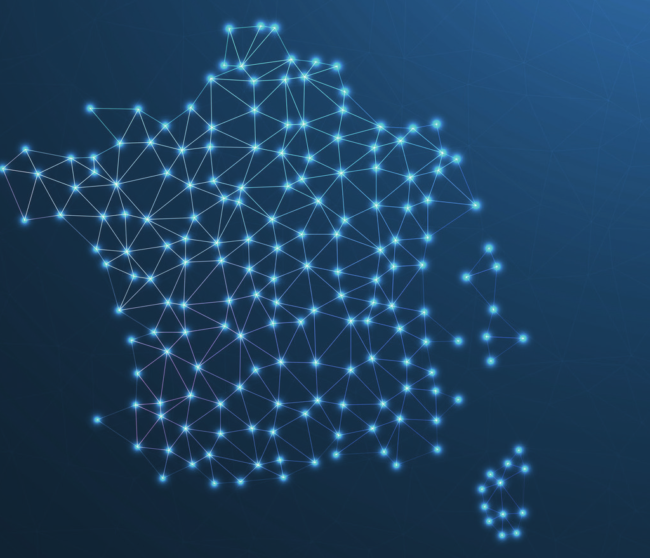 France is investing heavily in its telecom network, but generally rural areas will be the last to benefit as is the case in the UK, where only 66% have this option. BT’s line rental is £18.99 a month compared to France where it is €17.96. New broadband customers with BT get an introductory rate of £24.99 a month rising to £37.99 a month after a year. Competitors offer similar deals. In France, the typical price is between €22.99 and €36.99 a month from Orange, SFR is €23 and after 12 months €35 (both including calls to landlines), and Free charges between €29.99 and €39.99 depending on the modem. UKTelecom charges €24.99 and offers four different call packages starting at €3.50. If your speed is fast enough, choose a Dégroupage Total service because your calls will go over the internet and no line rental will be payable. All companies have this offer. If you can get fibre in the UK, the prices range from £31 a month (BT) down to £25 a month (Talk Talk) for the initial period and then increase to £41.99 and £35 respectively. In France, fibre from Orange is between €22.99 and €55.99 depending on the speed chosen, with calls to land lines and mobiles included. SFR costs €37 for the first year then €54 and includes calls to landlines, mobiles, TV and data storage. If you are going to be away from your home for several weeks, there are two companies that allow you to suspend your services: Orange (second homes only) and UKTelecom (all customers). Q. What important questions do I need to remember to ask when I’m setting up my broadband? A. Take care when setting up the service. People often find they get a lot of unwanted sales calls once the line has been set up. They could have chosen to go ex-directory from the outset. Now all their details are in the paper and digital directories! If you still want to be in the directory so people can find you, sign up for ‘Bloctel’ (www.bloctel.gouv.fr) a free service similar to our Telephone Preference Service that requires cold-call marketing companies to remove your details from any database they hold. There are several free line features you can have on your service (such as withholding your number) and others that are charged at €1 a month (including number display). Q. Is there any technological lingo that tech-illiterates should watch out for? A. Very little. One example would be the hype around the new 5G mobile service that is being trialled in several large French cities at the moment. The main beneficiaries will be industry, but there are some possible benefits in terms of coverage. The move from 3G to 4G did not improve the quality of voice traffic, but it did make a big difference to the speed at which data could be transferred. The important matters most often relate to setting up a new service. If it is for a new property you may have to dig a trench between your boundary and the wall where your phone line is going to enter the house, and then drill a hole for the cable to go through. If you are moving to an apartment, you will be asked to give the ‘logo’ for the property, assuming it is pre-cabled, so the engineers can easily connect you. Other than these, a quick Google search will be all that’s needed.